One reader will win everything shown above for a pretty great prize pack! (ARV $125) Every new mom out there needs this! A shopping spree to outfit your nursery! How fun would this be to win? Giveaway begins March 7, 2014 at 12:00 AM EST and will run until March 22, 2014 at 11:59 PM EST. This giveaway is open to US residents only and you must be 18 or older to enter. All entries are verified and a winner will be chosen at random using the giveaway widget. Winner will be notified via email and will have 48 hours to respond before a new winner is chosen. Disclosure: This blog did not receive any compensation or any product in exchange for this giveaway, and is not responsible for prize shipment. Social media platforms (Facebook, Twitter, Pinterest, Instagram and Blog’Lovin) are in no way associated with this giveaway. If you have questions about prize fulfillment, please email Alicia at MasterofMom@gmail.com. 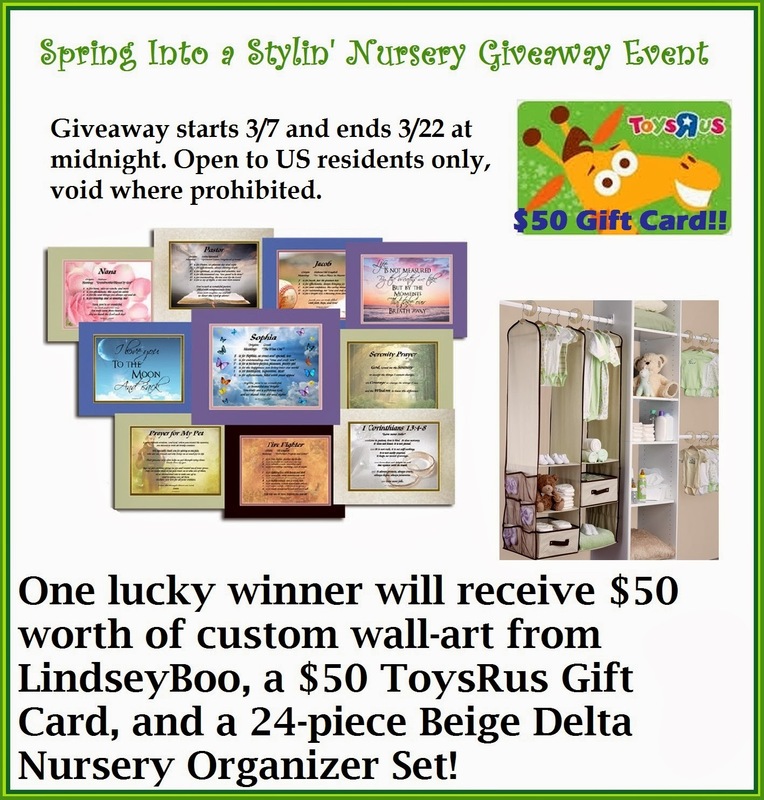 **If you are a business that would like to have your product or brand promoted in a giveaway like this one, please click here to fill out MasterofMom.com’s comment form.